^ 2.0 2.1 中文版序言. 旧制度与大革命. 商务印书馆. 1992年9月1日. ^ Mark Philp. The French Revolution and British Popular Politics. Cambridge University Press. : 79. ^ Leigh Ann Whaley. Radicals: politics and republicanism in the French Revolution. ^ Lynn Avery Hunt. Politics, Culture, and Class in the French Revolution. : 87. ^ Alison Yarrington. Reflections of Revolution: Images of Romanticism. Routledge. : 112. ^ Encyclopedia Britannica — Traite. [2008-10-16]. ^ France’s Financial Crisis: 1783–1788. [2008-10-26]. ^ Censer and Hunt, Liberty, Equality, Fraternity: Exploring the French Revolution, 4. ^ Censer and Hunt, Liberty, Equality, Fraternity: Exploring the French Revolution, 16. ^ John McManners, The French Revolution and the Church, 5. ^ John McManners, The French Revolution and the Church, 50, 4. ^ National Assembly legislation cited in John McManners, The French Revolution and the Church, 27. ^ John McManners, The French Revolution and the Church, 27. ^ Censer and Hunt, Liberty, Equality, Fraternity: Exploring the French Revolution, 61. ^ Emmet Kennedy, A Cultural History of the French Revolution, 148. ^ Censer and Hunt, Liberty, Equality, Fraternity: Exploring the French Revolution, 92. ^ Loomis, Stanley. The Fatal Friendship. Avon Books. 1972. ISBN 0-931933-33-1. ^ Timothy Tackett, When the King Took Flight. Cambridge: Harvard University Press. 2003. ^ Klaits, Joseph; Haltzel, Michael H.; Haltzel, Michael. Global Ramifications of the French Revolution. Cambridge UP. 2002. ^ Dann, Otto; Dinwiddy, John. 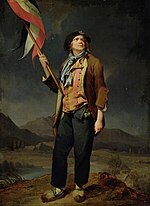 Nationalism in the Age of the French Revolution. Continuum. 1988: 13. ^ 55.0 55.1 55.2 Lefebvre, Georges. 法国革命史. 北京: 商务印书馆. 2010: 190–200. ISBN 9787100071277. Carlyle, Thomas. The French Revolution: A History. The Modern Library. 2002 . ISBN 0375760229. Dalton, Susan. “Gender and the Shifting Ground of Revolutionary Politics: The Case of Madame Roland” Canadian Journal of History. 2001. ISSN 0008-4107. Doyle, William. The Oxford history of the French Revolution 3rd. Oxford: Oxford University Press. 1990. ISBN 0192852213. Doyle, William. The French Revolution: A very short introduction. Oxford: Oxford University Press. 2001. ISBN 0192853961. Doyle, William. The Oxford history of the French Revolution 2nd. Oxford University Press. 2002. ISBN 019925298X. Furet, Francois. Revolutionary France, 1770–1880. Blackwell Publishing. 1995. ISBN 0631198083. Hanson, Paul. Contesting the French Revolution. Blackwell Publishing. 2009. ISBN 9781405160834. Hibbert, Christopher. The Days of the French Revolution. New York: Quill, William Morrow. 1980. ISBN 0688037046. Kennedy, Emmet. A Cultural History of the French Revolution. New Haven: Yale University Press. 1989. Lefebvre, Georges. The French Revolution: From Its Origins to 1793. Columbia University Press. 1971. ISBN 0231085982. McManners, John. 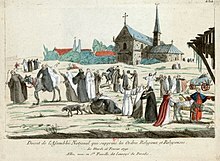 The French Revolution and the Church. New York: Harper and Row. 1969. Mousset, Sophie. 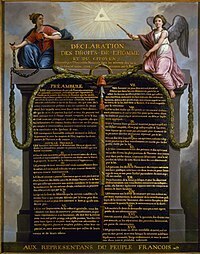 Women's Rights and the French Revolution. Transaction Publishers. 2007. ISBN 0765803453. Neely, Sylvia. A Concise History of the French Revolution. Rowman & Littlefield. 2008. ISBN 0742534111. Rude, George. 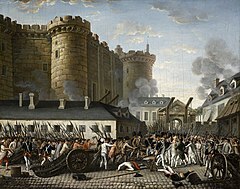 The French Revolution: Its Causes, Its History and Its Legacy After 200 Years. Grove Press. 1991. ISBN 0802132723. Schama, Simon. Citizens. Penguin. 2004 . ISBN 0141017279. Soboul, Albert. A short history of the French Revolution: 1789–1799. University of California Press, Ltd. 1977. ISBN 0520034198. Walker, Leslie H. "Sweet and Consoling Virtue: The Memoirs of Madame Roland." Eighteenth-Century Studies, French Revolutionary Culture (2001): 403–419. http://0-www.jstor.org.bianca.penlib.du.edu/[永久失效連結].